SimplyEmail is a tool that is based on the work of theHarvester and kind of a port of the functionality. This is just an expansion of what was used to build theHarvester and will incorporate his work but allow users to easily build Modules for the Framework. NOTE: SimplyEmail uses autoenv to activate the Python Virtualenv.. It may prompt you the first time during a CD into the SimplyEmail dir. or in verbose and no "Scope"
This will run ALL modules that have API Key placed in the SimpleEmail.ini file and will run all non-API based modules. API based searches can be painful and hard to configure. 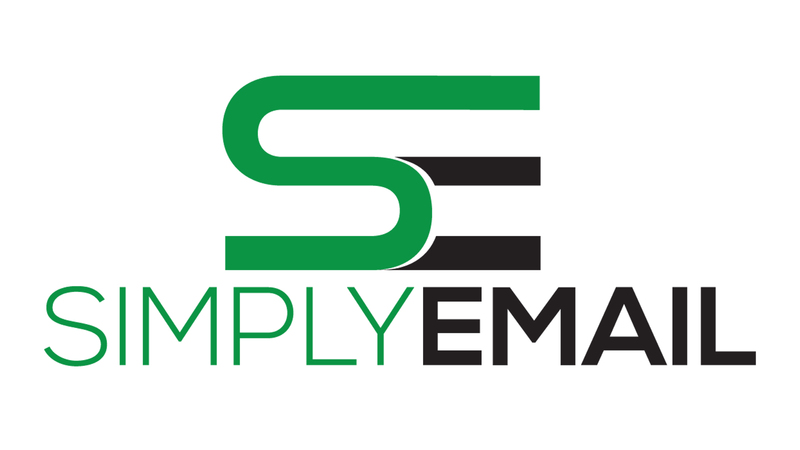 The main aspect of SimplyEmail is to easily integrate these aspects, while not compromising the ease of using this tool. Using the configuration file, you can simply add your corresponding API key and get up and running. Modules are automatically identified as API based searches, checks if the corresponding keys are present and if the keys are present it will run the module. Canario is a service that allows you to search for potentially leaked data that has been exposed on the Internet. Passwords, e-mail addresses, hostnames, and other data have been indexed to allow for easy searching. Simply Register for a key here: [canar.io] (https://canar.io/register/) or https://canar.io/register/ Place the key in the SimplyEmail.ini at [APIKeys] section, the module will now initiate when the –all flag is user of the -t.
Sometimes SimplyEmail will only find the standard email addresses or just a few emails. In this case email creation may be your saving grace. Using name generation can allow you not only scrape names from diffrent sites but allow you to auto detect the format to some accuracy. Using Bing and work from PhishBait I was able to implement LinkedIn name lookups from the company name. Connect6 is also a great source for names, and also a bit flaky to find the source. [!] GoogleDork This: site:connect6.com "Vfffff.com"
More often than not you will have at least a few invalid emails gathered from recon. SimplyEmail now supports the ability to verify and check if the email is valid. Outputs a (.txt) file with verified emails. to attempt to enumerate if the email is valid. [*] Attempting to resolve MX records! One of the most frustrating aspects of Pen-testing is the tools’ ability to report the findings and make those easily readable. This may be for the data provided to a customer or just the ability to report on source of the data. Let's cover the two different reports generated. With this option results are generated and appended to a running text file called Email_List.txt. this makes it easy to find past searches or export to tool of choice. Using the --json test.txt flag will alow you to output standard JSON text file for automation needs. This can be currently used with the email scraping portion only, maybe name generation and email verification to come. These helpers will be soon in the SQL DB and API for more streamline automation. "module_name": "Exalead PDF Search for Emails"